Here’s your chance to buy a diving business with 13 bungalows at this beachfront resort for sale in Tulamben through Dwi Rastini from Seven Stones Indonesia. You can run your own resort at this established green resort in Kubu, about 2 hours from Sanur. It has a 70-metre-wide beachfront with 13 bungalows offering garden and beach views, 2 swimming pools, a restaurant, a spa, all of the diving equipment, four cars, plus operating licenses and a PMA. Tulamben is one of Bali's most popular diving and snorkelling destinations on the northeast coast and home to the famous "Liberty" shipwreck. 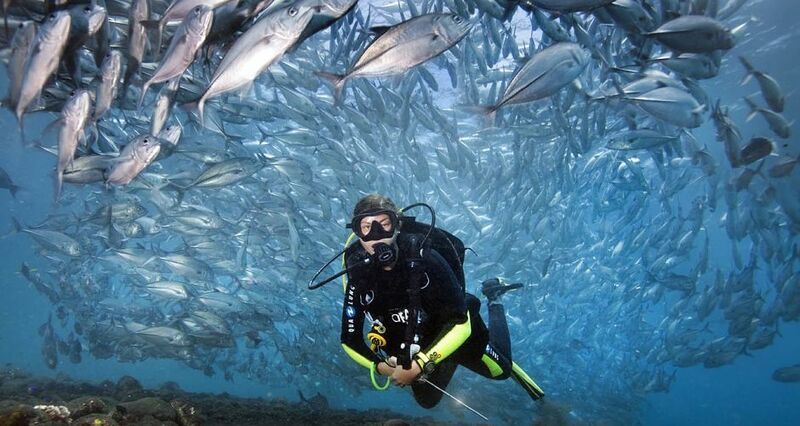 Divers and snorkellers love this area, and it is one of Bali’s most popular dive spots on the northeast coast. All of the bungalows are positioned surrounded by lush gardens to provide privacy. They each have traditional alang-alang roofs, air-conditioning, in-room safes and showers with hot and cold water. Family bungalows are also available. The lease runs through until 2070 giving you more than 50 years of enjoyment. For more information including additional pictures, visit the Seven Stones Indonesia website. To arrange an inspection, email Dwi Rastini from Seven Stones Indonesia via the contact details below.